New stock due mid March!! 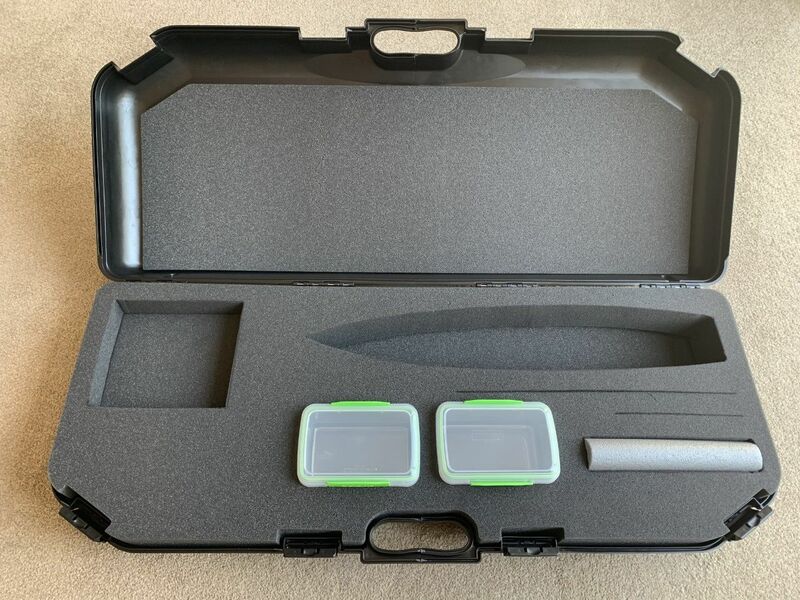 Hard plastic carry case for DF65 with foam cut out & 2 tool boxes supplied. Everything fits in the box including the rig bag!! Main foam 70mm thick & 2 10mm foams - 4 catches - injected polypropylene - Size: 105 x 30 x 15 cm. We even supply two boxes for spares & tools - Everything fits into the box including the rigs - Safe way to transport your yacht & can even be transported as normal hold luggage on the plane. Foam profile are cut out by the Manufacturer - Yacht and accessories are cut out with an electric carving knife on site as accurately as possible.